When you are healthy, you are happy. We have all heard this phrase or something similar at some point but is it really that simple? There’s only one way to find out. 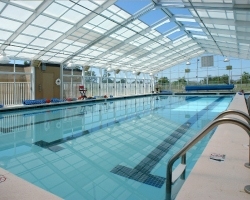 The Cantrell Center is a unique facility that offers two environments for physical therapy and wellness: an enclosed pool and an indoor gym. Both settings provide a host of benefits in many different styles. The purpose of this blog is to help you decide what setting best suits you and your personal fitness goals. Let’s start with the gym. With appropriate equipment and an experienced staff, the Cantrell Center can accommodate the needs of anyone; serving individuals from patients with acute issues to experienced athletes. Typical gyms almost exclusively serve the latter. Three wellness classes are instructed in the gym several times each week. Power Hour is a circuit training class that incorporates fast-paced cardio and resistance training to improve strength and endurance. Indoor Cycling Class is performed on stationary bikes and focuses primarily on cardiovascular conditioning. Abs Class is a 30-minute class that works, you guessed it, your core and abdominal muscles. All necessary equipment to target each muscle group. Best environment to isolate and engage specific muscles or muscle groups. Our Heated Indoor Pool is open year-round! The pool is a junior Olympic sized pool that is 4 ft. deep on each end and 4.5 ft. deep in the middle. Wellness members can enter the water using one of the stepladders or the ramp that gradually enters the shallow end. With a year-round water temperature between 86 and 88 degrees, the water feels great in the summer and even better in the colder months. There are three aquatic classes varying in intensity that are taught by trained and experienced instructors. First, the Arthritis Class is a low-intensity class that takes advantage of the water by allowing wellness members to easily perform exercises that would be too strenuous on land. The Arthritis Class is designed to improve range-of-motion and mobility. The most intense aquatic class is the Water Aerobics Class, which boasts an upbeat routine that focuses on light resistance training and cardiovascular conditioning. Lastly, Water Walking is a happy medium for those that are ready to advance to a higher level than Arthritis Class but not quite ready for Water Aerobics. Well-rounded exercise regardless of intensity. Exercise is easily and safely self-monitored. Aside from scheduled classes, the pool has designated times for solo aquatic exercise and lap swimming while the gym has time available to use all equipment. Utilizing both areas of the Cantrell Center is ideal and will ultimately yield the best results in every aspect. Whether your demands are met in the pool, in the gym, or in both, it is always nice to have options. A practical exercise regimen, whether professionally prescribed or personally sought after, opens the door to countless benefits that can last a lifetime. Have questions regarding exercise planning, the pool, the gym, or equipment? Do not hesitate to call our Wellness Center at (478) 333-6777 or simply ask a Wellness Trainer when you see us in the pool or gym. Members are welcome to bring a friend to two complimentary classes in the gym or pool to “test the waters” as well! Riley Seymour, who grew up in Perry, GA, joined the Cantrell Center team on February 22nd of this year as a Physical Therapy Aide and began helping out on the Wellness side as well. He is now CPO certified and serving dual roles as Wellness Trainer and Water Aerobics Instructor. We receive tons of great feedback each time he teaches a Water Aerobics class and trains a client. In his free time, you might just run into him at Zaxby’s as he’s an avid fan! The oldest of 2, Riley has a little sister who is in the nursing program at Armstrong in Savannah. Though he might come off as reserved, he’s quick to spark up a conversation with everyone he meets.